Based on the 1995 movie Jumanji, NetEnt have brought the film to life with their online slot game: Jumanji. This action-packed slot will get your heart pumping with the thrilling features, random activated bonuses, as well as the tribal influenced music. Plus, your eyes will be immersed as you see all the references to the crazy adventure, which will bring back memories of watching the film. Best of all, you can now play Jumanji without the worry of your house getting destroyed. Jump onto your favorite chair and let this slot game whisk you away for an adventure full of magic and mystery. As you open the game, the intro video sets the mood and gets your adrenaline flowing. Once the game loads, the Jumanji board game layout as the background clearly lets you know you’re in the right place and the soundtrack will have you on the edge of your seat, even before the first spin. 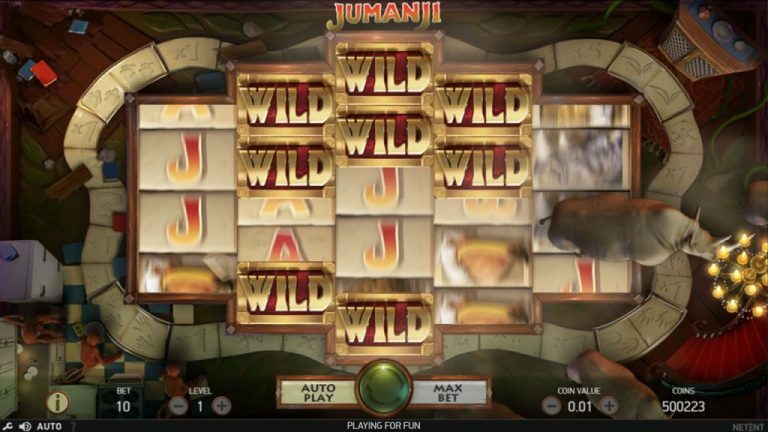 Jumanji has a different set up to what is usually seen in the online slots world. While it has the typical five reels, what makes it stand out is the unique design of the reels which are in a geometric 3, 4, 5, 4, 3 layout. There are 36 paylines, and four types of bonuses you can randomly activate. Each corner of the screen has well-designed and animated references to the film, such as the monkeys in the kitchen on the bottom left, where one of them scratches their heads. Opposite them you can see the swinging motion of the chandelier above the formal-looking stairway, and above that you may (sometimes) spot a vine from the huge flower poking out from the cardboard. On the top left corner, you will see the bookcase where a book may fall down and then fade away. Sticky Vines – When activated, all symbols that form part of a win and all Wilds from the initial spin become sticky, and the rest of the symbols re-spin for even more wins. Monsoon Wilds – Activated randomly during game play; between 1-2 reels become completely covered in Wilds while the rest of the reels spin. Monkey Mayhem – Another feature that occurs randomly. Once the reels stop and winnings are awarded, the symbols shuffle to form a guaranteed win. Wild Stampede – While the reels are still spinning, a herd of rhino will stampede across the reels adding between 4-9 Wilds. The high-value symbols of Jumanji have a direct connection to the film since they are: the lion, which is the highest value that pays 140x your bet for landing 5 of them. The rhino is the second highest, followed by the crocodile and pelican. Low-value symbols are the K, Q, J, A. The Wild is an icon with the word ‘Wild’ on it which replaces the other symbols on the slots (except the scatter) to increase your chances of gathering winnings. The scatter is the iconic board game. Jumanji has a bonus “Board Game” which is activated by landing three or more scatter symbols during the main game. This then takes you to the Jumanji board game where you roll dice and move figurines, like in the film. In each corner of the board is a Free Spins feature, which you obviously want to attain. The number of dice rolls is dependent on the number of scatters you landed to activate the bonus game. Besides the Free Spins corners, you can also win coins, a mystery feature and even extra dice rolls. Free spins happen when you land on the corners of the board, with each corner activating 1 of the 4 different Free Spins games. Vines Free Spins – You are awarded 10 Free Spins, that have re-spins for wins. What this means is that every time you have a win, a re-spin will take place for the opportunity to win more. The re-spins continue till there are no more winning combinations. 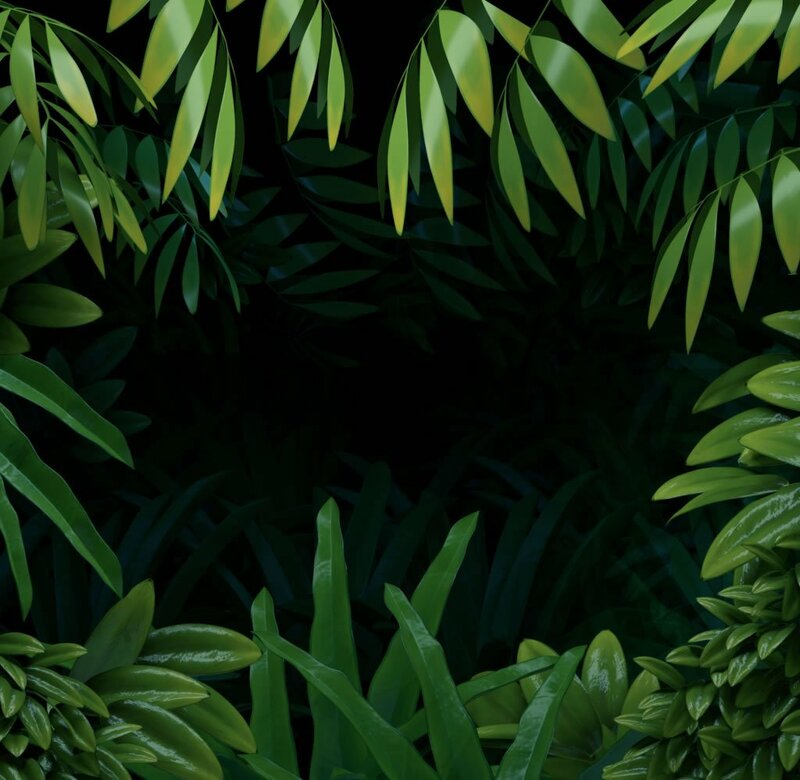 Plus, during Vine Free Spins, every time a Wild appears, the vines make the Wild sticky and it remains in place for the entire Free Spins round. Monsoon Free Spins – Awards 7 Free Spins plus 1-2 reels become completely covered in Wilds, while the rest of the reels spin. Note that the same covered reels cannot be chosen for two consecutive Free Spins. Monkey Free Spins – Here you will receive 6 Free Spins and after each spin, after any wins have been paid, the symbols shuffle around to form another guaranteed win. Stampede Free Spins – This feature gives you 5 Free Spins and while the reels are still spinning, a herd of rhino will stampede across the reels adding between 4-9 Wilds. Jumanji is not a progressive slot and does not offer a fixed jackpot. As you can tell from all the various features, bonus games and Free Spins, the opportunities to win big are astounding. Jumanji has 36 paylines for you to play with, and you can bet anywhere from 0, 10 to 200 coins simply by clicking the ‘plus’ icon at the bottom of the screen. Jumanji has an RTP of 96.3%. The Jumanji slot has a medium volatility, so you should get to experience some regular wins and the features too. NetEnt has truly gotten the feel of the film with their Jumanji online slot. Gameplay is exciting, and the endless features add incredible excitement. This is one of those slots where you can get lost in the world of the game, but don’t just take our word for it; give it a go right now.